THE CAMBODIAN 'STEGOSAUR' - AN ANACHRONISM FROM ANGKOR WAT? 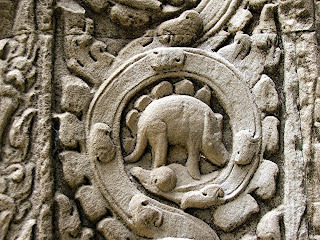 Mystery creatures, and evidence in support of their existence, can turn up in the most unlikely places, but few can be as unexpected, surely, as Cambodia's centuries-old carving of an alleged stegosaurian dinosaur! Stegosaurs constituted a taxonomic suborder of ornithischian ('bird-hipped') dinosaurs that existed from the mid-Jurassic Period to the early Cretaceous Period, i.e. approximately 170-120 million years ago. They lived predominantly in North America, Europe, and China, but at least one species is known from Africa, and possibly one from India too. Herbivorous and quadrupedal, the most famous morphological attributes of the stegosaurs were the double (occasionally single) row of very large, flat, upright plates running down the centre of their back, and the arrangement of long spikes (the so-called thagomizer) borne upon their tail. Proportionately, their head was very small relative to the rest of their body. Indeed, in the most famous genus, North America's Stegosaurus, their brain was only the size of a walnut whereas their body was the size of a van! 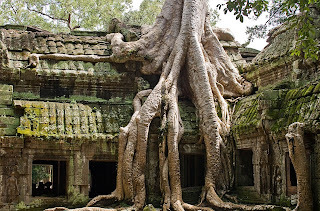 Whereas the last confirmed stegosaurs died out over 100 million years ago, one of Cambodia's most beautiful edifices, the jungle temple of Ta Prohm, was created a mere 900 years or so ago, and forms part of the Angkor Wat temple complex, which collectively is internationally famous for being the largest religious monument in the world. Dedicated to the Hindu deity Vishnu by the Khmer King Suryavarman who built it during the early 12th Century, Angkor Wat did indeed begin as a Hindu temple, for the Khmer Empire and in what was then its capital, Yasodharapura, now Angkor, but by the end of that century it had been transformed into a Buddhist temple. Like other temples from this time period and Angkor Wat complex, Ta Prohm is intricately adorned with images from Hindu and Buddhist mythology as well as many depictions of animals. These latter include numerous circular glyphs each containing the carving of some local creature - but Ta Prohm also has one truly exceptional glyph unique to itself. Near to one of this temple's entrances is a circular glyph containing the carving of a burly quadrupedal beast ostensibly bearing a row of upright plates along its back - an image irresistibly reminiscent of a stegosaurian dinosaur! This anomalous carving is very popular with local guides, who delight in baffling Western tourists by asking them if they believe that dinosaurs still existed as recently as 900 years ago and then showing this glyph to them. Could it therefore be a modern fake, skilfully carved amid the genuine glyphs by a trickster hoping to fool unsuspecting tourists? Or is it a bona fide 900-year-old sculpture? Having spoken to a number of people who have visited Angkor Wat and have viewed this glyph close-up at Ta Prohm, I am assured by all of them that it looks of comparable age to the other glyphs surrounding it, with no visible indications that it has been carved any more recently than any of the others there. So how can this very intriguing, seemingly anachronistic depiction be explained? Some cryptozoologists cite it as proof that a stegosaurian lineage must have survived into modern times somewhere in this vicinity but has remained undiscovered by science (the notion that this carving may portray a living stegosaur appears to have been first promoted during the late 1990s, in a couple of books on Angkor Wat written by Michael Freeman and Claude Jacques). Others have suggested that perhaps it was inspired by the temple's architects having seen some fossilised stegosaur remains. And there also is the option that it is a stegosaur only by accidental design, i.e. that its plates are not a physical component of the creature, but merely background decoration inside the circle containing it, and that to associate them with the animal is therefore a mistake. Let's consider each of these possibilities. If we ignore its plates, the rest of the creature does not actually look much like a stegosaur as depicted in palaeontological restorations, certainly not as depicted in modern restorations (i.e. in contrast to those dating from several decades ago, but which are still the ones commonly brought to mind by laymen who may not be familiar with up-to-date versions in palaeontological publications). In particular, its apparent lateral cranial horns are decidedly non-stegosaurian, and the stegosaurs' distinctive, characteristic thagomizer is conspicuous only by its absence in this glyph. Also contrasting with fossil stegosaurs are its relatively large head and short tail – the reverse condition to that more commonly exhibited by the former dinosaurs. Then again, if a stegosaurian lineage has indeed somehow persisted into modern times, such differences from fossilised stegosaurs as those noted above are certainly not so radical that they could not have arisen during the 100 million years or so of continuing evolution that will have occurred from the early Cretaceous to the present day. 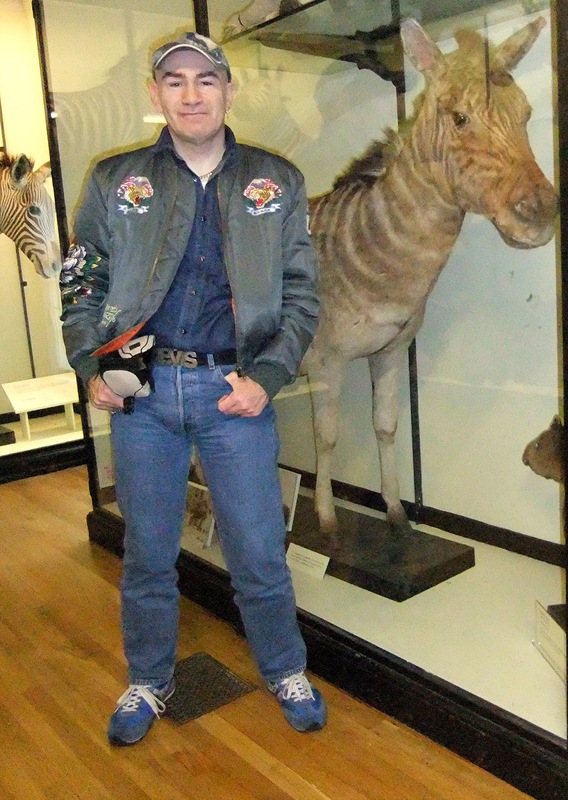 One only has to compare, for instance, the relatively unspecialised range of mammals or birds existing during the early Cretaceous to the vast morphological diversity of mammalian or avian forms alive today to see just how extensively evolution can modify outward morphology during that particular period of time. However, if anything as dramatic as a living stegosaur does indeed exist (or has done until very recently) anywhere within the area of Cambodia, one might reasonably expect rather more pictorial evidence of such existence than a single small carving tucked away amidst a myriad of other animal carvings. Yet I am not aware of any comparable design anywhere else in Asian art. To my knowledge, there is no suggestion of stegosaurian creatures in Cambodian mythology or folklore either, nor, indeed, in that of any other corpus of Asian traditions (thus contrasting very markedly, for example, with the extensive native beliefs associated with the mokele-mbembe in the Congo). And there is certainly no documented physical evidence for such a creature's reality – no preserved plates, skeletal remains, etc, described in any publication that I have ever encountered or seen any mention of during my researches. Moreover, even fossil stegosaur remains so far disinterred in Asia are restricted to China (predominantly) and India (very controversially – much of these proved upon closer inspection to be derived from plesiosaurs instead!). This in turn reduces the likelihood that the 'stegosaur' glyph was carved 900 years ago by a local sculptor who had previously seen fossil remains of such a creature, unless (and which is certainly not impossible but unlikely) the sculptor had visited China and had seen such remains there? Another option is that it may be some local mythological creature (though I am unaware of any from this region of the world that match its appearance). 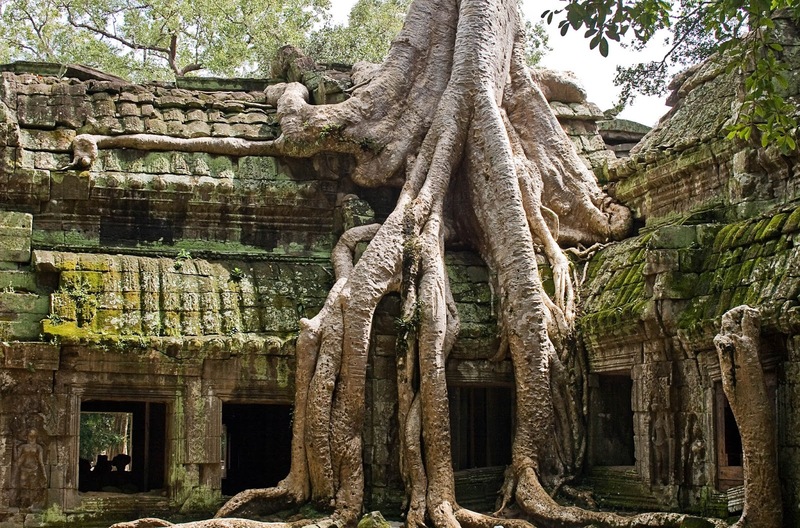 Certainly, there is a varied mixture of the factual and the fictitious among the fauna depicted at Angkor Wat. Directly below the stegosaur glyph, for instance, is one portraying a mystifying unidentified quadruped with cross-hatching on its body that may be meant to represent scales, plus a distinct series of dorsal ridges that in this instance are definitely part of the animal. Its somewhat pointed head is reminiscent of that of a pangolin or scaly anteater, which could also explain the cross-hatching. Yet unless the depiction as a whole is very stylised (particularly its dorsal ridges), it does not closely resemble a pangolin (or indeed any other real, whole creature) in other morphological respects. However, as suggested elsewhere by German cryptozoologist Markus Bühler, might it represent the head of a wild pig? There is certainly a degree of resemblance. Alternatively, it may be some type of mythological entity. Directly below that glyph, moreover, is one that portrays a typical Oriental demon, grinning maniacally at anybody spotting it there. To my mind, however, by far the simplest and most plausible explanation for the enigmatic stegosaur glyph is that its resemblance to one of those plate-backed dinosaurs is an artefact – i.e. it is simply some form of local present-day known creature that has been carved with a plate-like decorative motif in the background, but which in turn has been wrongly associated directly with the creature. The reason that I favour this explanation is that such a motif can also be seen surrounding other carved animals of several different types enclosed within their respective glyph circles at Angkor Wat. These include birds, a water buffalo, deer, monkeys, and even mythological demons, as noted above (and in certain of these glyphs, moreover, the motif bears a resemblance to lotus leaves). 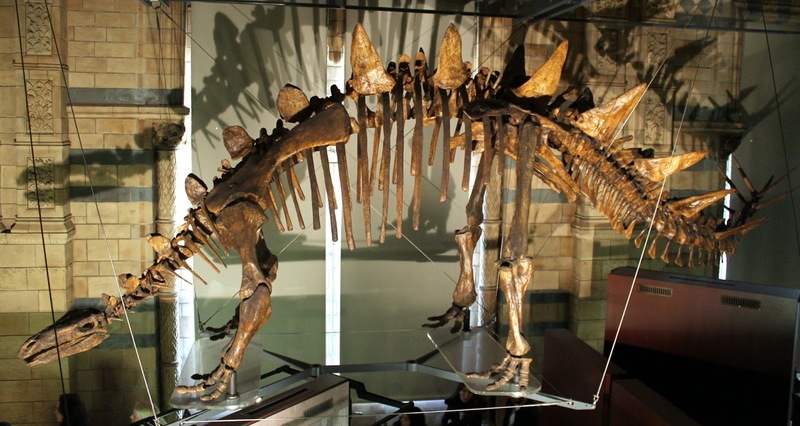 Although the plates surrounding the alleged stegosaur do seem somewhat more well-defined (but might this indicate some very selective modern-day enhancement by a hoaxer seeking to enhance its superficial stegosaur appearance? ), their general shape and size are much the same as those surrounding other carved animals. In addition, this same plate motif is also present encircling the outer perimeter of the glyph circles enclosing the carved animals, including that of the 'stegosaur', as readily seen in the photograph opening this present ShukerNature blog article. Looking closely at the latter creature, its head in particular is shaped very like that of a rhinoceros, as has also been commented upon elsewhere by Markus Bühler and various others. Even its 'cranial horns' resemble the long pointed ears of such mammals. Conversely, its back seems more arched than is true of rhinos, but this discrepancy could merely be due to stylising, or once again may simply be a design artefact, the creature having been depicted in this unnatural, hardly life-like pose (for a rhino) simply in order for it to fit more readily inside its circular setting. Incidentally, adapting the shape of an animal during its depiction in order to fit it more snugly within a designated space for it is an option that I have already explored elsewhere on ShukerNature (click here) in relation to a second anomalous Angkor Wat carving - the so-called Cambodian moa. Returning to rhinos and the suspect stegosaur: on the latter creature's body are indications of the skin pleats exhibited by Asian rhinos of the genus Rhinoceros (i.e. the great Indian R. unicornis and the Javan or scaled R. sondaicus, the latter of which definitely still existed in Cambodia 900 years ago, with the former possibly doing so too). Even the creature's lack of a nasal horn is not an obstacle to identifying it as a rhino of this genus, because female Javan rhinos are sometimes hornless. Another line of speculation that has been proposed by some investigators is that the creature actually represents a very stylised portrayal of some form of lizard, suggestions having included a chameleon (though there is none in southeast Asia) or one of the several species of southeast Asian agamid known as mountain horned dragons Acanthosaura sp. However, any similarities between the carving and such reptiles seem far less apparent (if indeed present at all) to me than those readily visible between the carving and a stylised and/or modified-to-fit rhinoceros. Equally, whereas an even better fit for the creature's 'cranial horns' than the pointed ears of a rhino would be the horns of a wild ox, the rest of the creature's depiction is a better fit for a rhino than for an ox. Of course, we shall never know for sure the intended taxonomic identity of the supposed stegosaur in this perplexing carving. However, it does seem much more likely to be a stylised depiction of some local known species rather than anything more radical. After all, it surely couldn't have been based upon a sighting of a real-life stegosaur...could it? My sincere thanks to John and Lesley Burke for specifically seeking out and photographing for me the 'stegosaur' glyph at Ta Prohm in Angkor Wat during their visit to Cambodia in 2001. 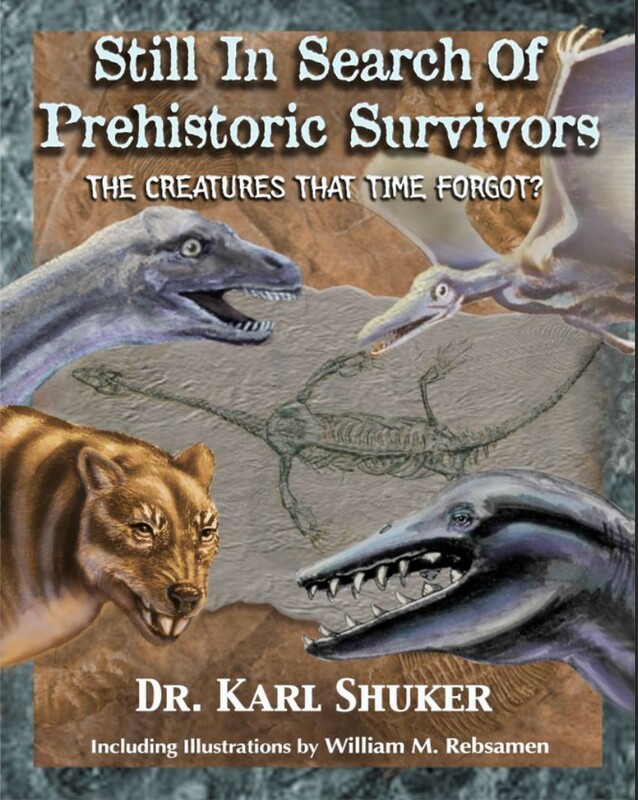 This ShukerNature blog article is excerpted and enlarged from my forthcoming book Still In SearchOf Prehistoric Survivors…coming very soon. 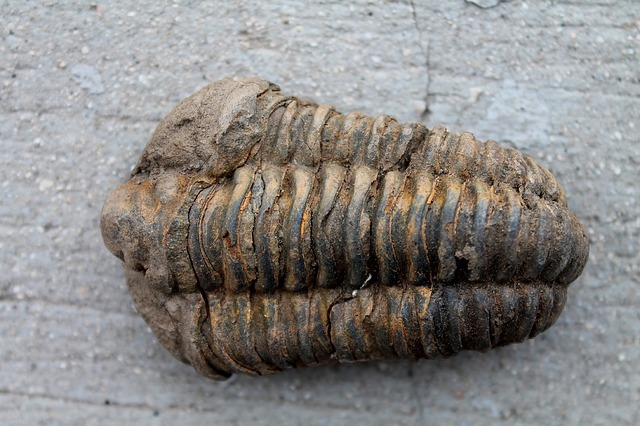 DREDGING UP SOME LIVING TRILOBITES? 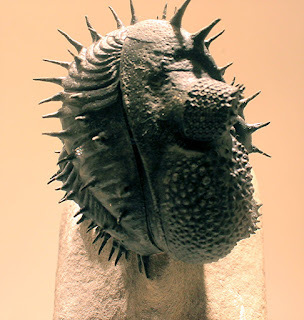 One of the best-known groups of fossil animal are the trilobites ('three-lobed'), this name deriving from the distinctive three-lobed structure of their body, which consists of the cephalon (head shield), the thorax, and the pygidium (tail shield). Ranging in size from a dinner plate down to a pea, they are famed for their segmented body form, numerous pairs of limbs, and extremely well-developed compound eyes. 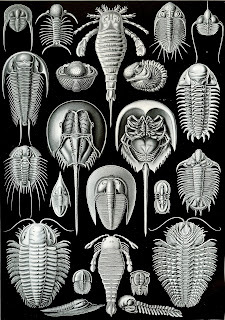 Global but exclusively marine in distribution, this taxonomic class of arthropods was one of the earliest, with the first-known representatives in the fossil record dating back approximately 540-520 million years to the early Cambrian Period (though it is suspected that there may well have been earlier forms as yet unrepresented by documented fossils dating as far back as 700 million years, to the pre-Cambrian). Bearing in mind how zoologically familiar they are today and how their taxonomic identity as arthropods is indisputable, it may come as something of a surprise to learn that the first trilobite fossils to attract notable scientific attention, during the 1700s, incited considerable controversy as to what type of creature they represented, resulting in some exceedingly bizarre notions being aired in all seriousness. They were initially deemed to be ancient, three-lobed clam-like seashells (and were duly dubbed Concha triloba), because these particular trilobite fossils showed only the animals' dorsal side (thereby concealing the fact that trilobites actually possessed legs – lots of legs, in fact!). Not everyone agreed with this identification, however, and offered various alternative but equally erroneous suggestions. 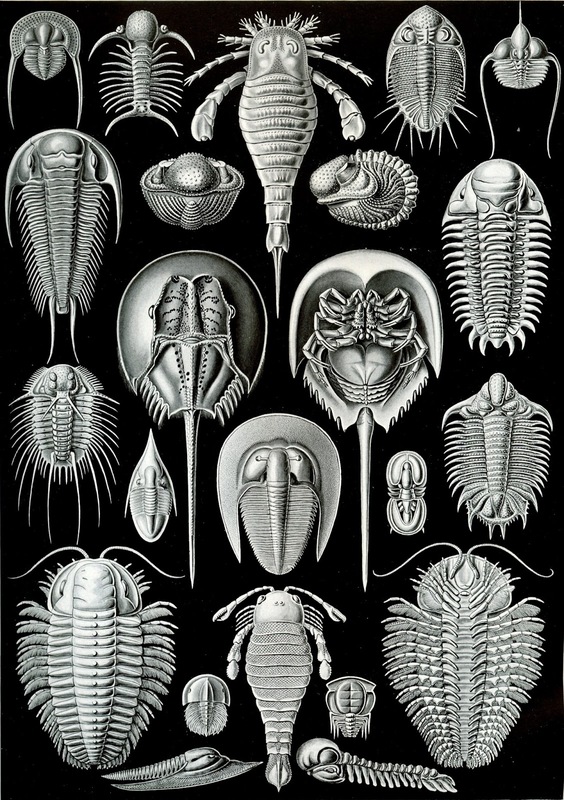 The normally authoritative British zoologist Dr George Shaw (1751-1813), for instance, proposed that trilobites were fossil caterpillars, while some contemporaries opined that they were archaic centipedes, or (less preposterous) crustaceans. 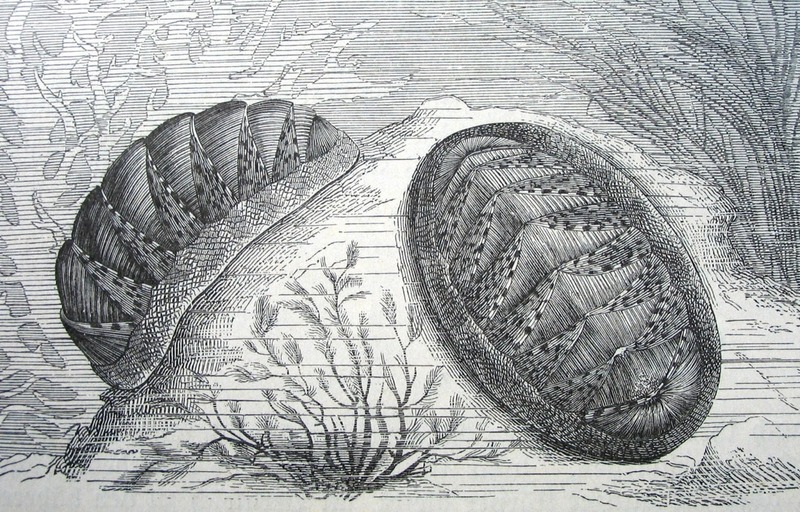 The matter remained contentious until American palaeontologist Charles D. Walcott resolved it in a very convincing manner – by skilfully and painstakingly using a hacksaw to open up no fewer than 3,500 fossils of curled-up trilobites, thereby revealing the presence of their jointed legs, and, in turn, these hitherto-baffling beasts' true nature as arthropods. 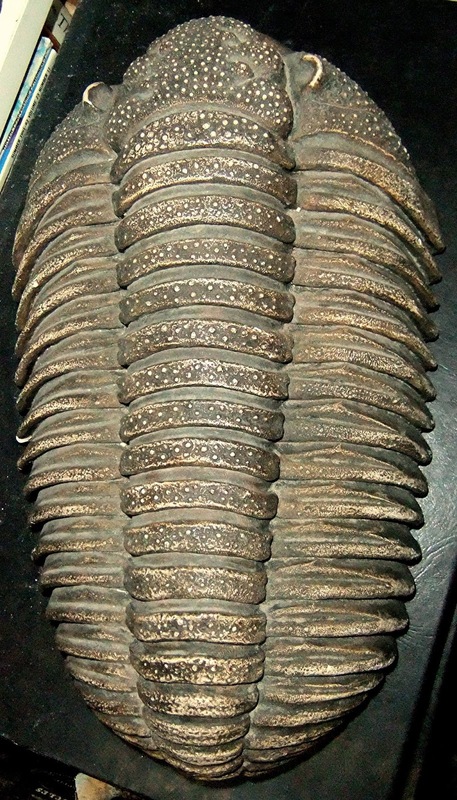 During the lengthy course of their evolution, the trilobites became exceedingly successful, yielding a vast diversity of species (some 17,000 are currently recognised) as well as body forms and lifestyles before decreasing markedly in the Devonian, and finally dying out completely around 252 million years ago (in the mass extinction that occurred at the end of the Permian) – or did they? There is no well-established reason why they should have done. As a zoologist living in the West Midlands, England, I am very aware that one particular trilobite species, Calymene blumenbachii from the Silurian Period, is so abundant in the fossiliferous limestone quarries of Wren's Nest in the West Midlands town of Dudley that it is popularly known as the Dudley bug or Dudley locust, and even appears on the Dudley County Borough Council's official coat-of-arms. 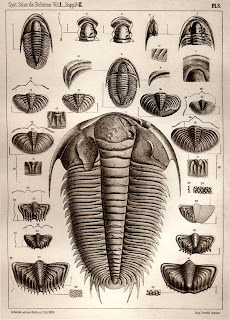 Naturally, therefore, I've been a fan of trilobites ever since childhood, and my fossil collection contains several specimens, but my interest in cryptozoology would subsequently yield an additional reason for my being fascinated by them. 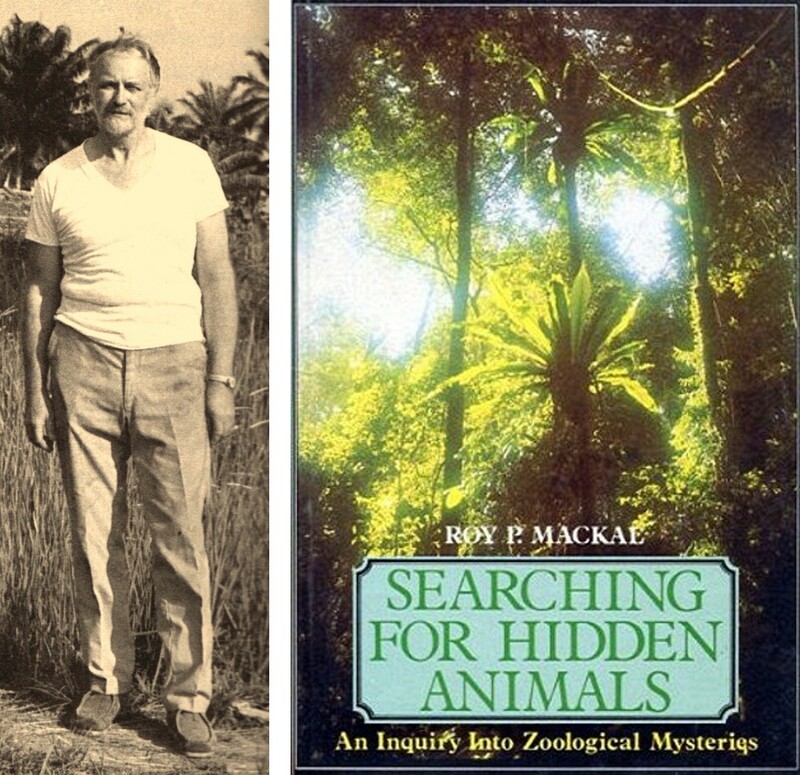 In the mid-1980s, I purchased veteran American cryptozoologist Prof. Roy P. Mackal's classic book Searching For Hidden Animals (which had originally been published in 1980 in the U.S.A., but not until 1983 in the U.K.), and was delighted to find that it documented a wide range of lesser-known cryptids. However, one chapter that obviously attracted my particular interest was tantalisingly entitled 'Living Trilobites?'. It included a discussion as to whether any representatives of these archaic arthropods might have survived the Permian mega-death and persisted in benthic anonymity on the ocean floor into the present day. 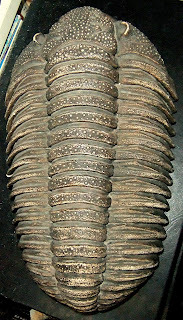 As Mackal noted, many trilobites were shallow coastal dwellers (especially the later ones), yet no living trilobites from such localities have ever been discovered. Consequently, the only hope for modern-day survival is if "some forms adapted to a deeper, more obscure environment and there found refuge" - or if some that were already so adapted simply persisted. Should this scenario have indeed taken place, it could explain why no Cenozoic trilobite fossils have ever been found - because these would not be readily discovered or accessed on the ocean floor. But what about obtaining living specimens there? 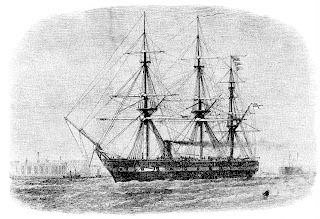 Until reading Mackal's book, I hadn't been aware that the very first global marine research expedition, the voyage of HMS Challenger from 21 December 1872 to 26 May 1876, seriously believed that living trilobites might be dredged up from the ocean bottom. 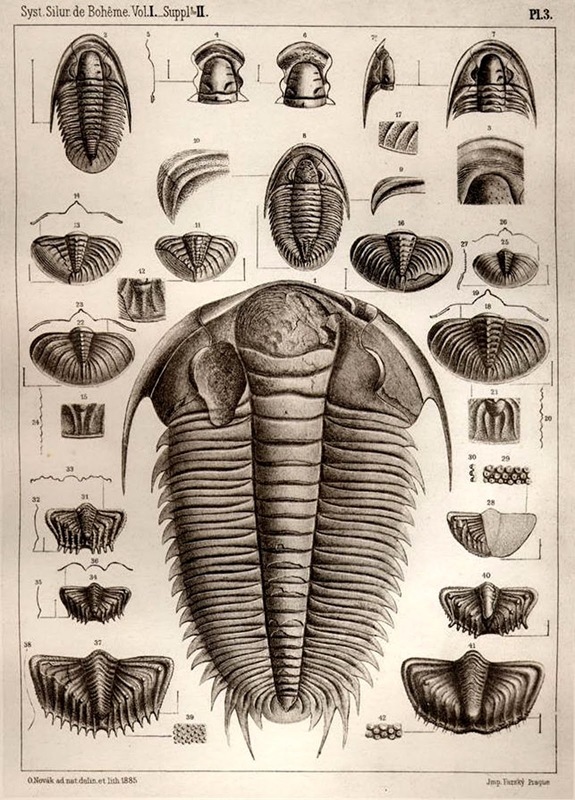 But although countless specimens that included representatives of over 4,000 hitherto-unknown animal species were indeed procured there, none of them were trilobites. Or, as worded in the authoritative Encyclopaedia Britannica's eleventh edition, published in 1911, the "faint hope" of finding such creatures was not realised. In reality, however, a few years before this expedition had even set out on its epic voyage of zoological discovery, a claim had been made that a living trilobite had already been obtained, and from a depth of 1,200 fathoms (7,200 ft). Moreover, this claim was actually believed for a time before the creature's true, non-trilobite identity was revealed. Another veteran cryptozoological chronicler, Willy Ley, who briefly reported the case in one of his many articles, didn't provide further details, but as noted by Mackal the timing and morphological similarities strongly suggests that the discovery in question was actually that of a certain Antarctic species of isopod crustacean (the taxonomic group which includes woodlice and sea slaters) that is astonishingly trilobite-like in outward appearance. Brought to scientific attention in 1830, its first officially recorded specimen had actually been found inside the gut of a marine fish examined by American naturalist Dr James Eights while visiting the South Shetland Islands between Patagonia and Antarctica during the so-called 'Expedition of 1830'. Emphasising its remarkable morphological convergence, in 1833 Eights formally christened this memorable new species Brongniartia [now Ceratoserolis] trilobitoides. And it was indeed initially mistaken for one of these prehistoric arthropods by some observers, but it sports two pairs of antennae (a crustacean characteristic), whereas trilobites only had one. Other modern-day creatures that have often been mistaken for living trilobites are chitons and water pennies. Chitons (or polyplacophorans, to give them their formal zoological name) constitute a taxonomic class of molluscs characterised by their very distinctive shells, which are composed of eight separate but slightly overlapping plates, and afford these animals a superficially segmented appearance dorsally. If a chiton is turned over, however, its ventral body surface is seen to be non-segmented and only possessing a single, typically-molluscan foot, in contrast to the many limb pairs possessed by trilobites. As for water pennies, these trilobite imposters are the larval stage of certain aquatic freshwater psephenid beetles, belonging to the genus Mataeopsephus. Also superficially trilobite-like in outward dorsal appearance are both the larvae and the larval form-retaining adult females of lycid (net-winged) beetles belonging to the genus Platerodrilus, and which are therefore known colloquially as trilobite beetles (click here for a ShukerNature article featuring these distinctive insects). Native principally to tropical rainforests in India and southeastern Asia, some of them are brightly coloured. Finally, the juvenile stage of those famous 'living fossils' known as xiphosurans or horseshoe crabs is termed a trilobite larva, once again because of its superficial similarity to genuine trilobites. Horseshoe crabs, incidentally, are the closest living relatives of another taxonomic group of iconic fossil arthropods – the eurypterids or sea scorpions. Back in the 1980s, a bizarre story emanating from Australia briefly hit the news headlines, claiming that some trilobites had been found inhabiting Perth's storm drains. Not surprisingly, however, this was soon exposed as a hoax, featuring an old tyre that had been cut into the shape of a trilobite. ...in 1967, I was invited by Ralph Buchsbaum, professor of zoology at the University of Pittsburgh, to give a seminar on our researches at Loch Ness. During the social hour after the presentation one of his colleagues told me about experimental photography of the sea bottom that was in progress. He stated that photographs of fresh tracks identical to the Cruciana [sic – Cruziana], the fossilized trilobite tracks, had been obtained. He expressed the hope that traps could be lowered to catch whatever was making these highly suggestive tracks. As far as I know the nature of these tracks was never determined and nothing was ever trapped, because of a subsequent loss of funding for the project. The business of identifying sea-bottom trails and tracks is a tricky one and to infer living trilobites from a track is even more tricky. A marvelous collection of sea-bottom tracks and trails is presented in a book entitled The Face of the Deep by B. C. Heezen and C. D. Hollister. Only a tiny fraction of aquatic animal tracks have been identified, so that fertile ground for new discoveries is indeed abundant...Underwater photography of the ocean floor...appears to be a promising tool for future cryptozoological expeditions. 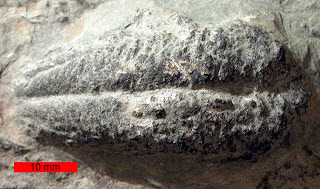 Cruziana is a famous trace fossil taking the form of elongate, bilobed burrows that are roughly bilaterally symmetrical. As noted in a 2010 Lethaia paper by Dr Stephen Donovan, many examples are believed to be the tracks or trails yielded by trilobites while deposit-feeding, but certain others are deemed not to be, because they were present in freshwater environments (where no trilobite fossils have so far been found) and/or were of Triassic date, by which time all trilobites were supposed to have died out. But were these ostensibly anachronistic tracks actually made by surviving post-Permian trilobites for which direct fossil evidence has simply not been found as yet? Incidentally, two other types of trace fossil believed to have been created by trilobites are Rusophycus and Diplichnites. The former fossils are excavations featuring little or no forward movements, and have therefore been interpreted as traces left by trilobites while resting or in defence/protection mode. In contrast, the latter fossils are believed to be traces left by trilobites while walking upon the sediment surface. 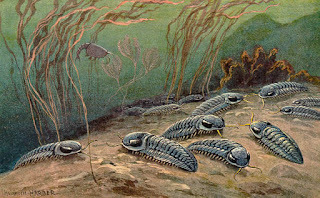 Mackal ended his living trilobites chapter on a somewhat pessimistic note, concluding: "While not impossible, it is most improbable that living trilobites still exist". 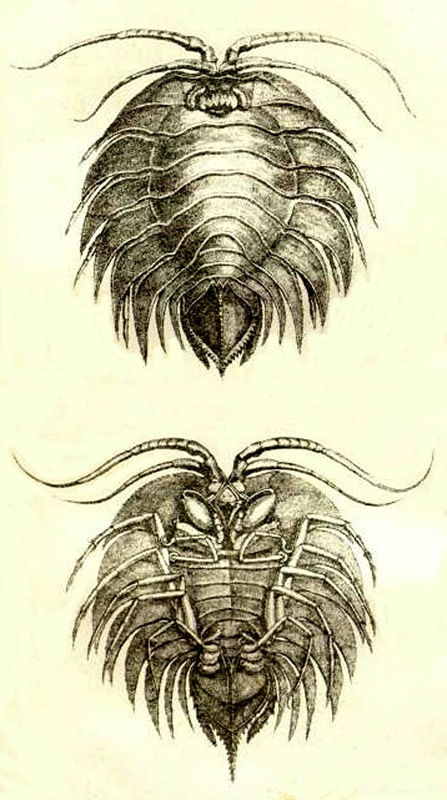 After that, this fascinating prospect appeared to have vanished from the modern world just as surely, it would seem, as the trilobites themselves – which is why I was so startled, but delighted, by a certain comment allegedly made by a well-respected current scientist more recently. On 24 June 2004, Yahoo! News released online a report concerning the receipt of a $600,000 start-up grant from the private Alfred Sloan foundation for a proposed 10-year international survey of the oceans' depths, at an estimated total cost of US $1 billion, to be funded by governments, companies and private donors, and officially dubbed the Census of Marine Life (CoML). As part of this grand-scale project, scientists led by researchers from the University of Alaska planned to use robot submarines and sonar to track down life forms in the Arctic Ocean's chilling deepwater domain, and expectations were that by the end of its decade-long course, the survey could easily have doubled the number of species known from this particular ocean. All very worthy indeed, but what caught my eye amid all of these statements was one attributed in the news report to none other than Dr Ron O'Dor, chief scientist of the multi-nation CoML. According to the report, whose exact wording is quoted here as follows, Dr O'Dor "speculated that Arctic waters might hide creatures known only from fossils, such as trilobites that flourished 300 million years ago". It would seem, therefore, that the notion of finding living trilobites has not been entirely discounted by scientists after all. Happily, the CoML did indeed take place, this very ambitious project ultimately featuring scientists from more than 80 different nations, and releasing the world's first-ever census in 2010 – but no living trilobites were listed. Nevertheless, there is a notable precedent well worth mentioning here. The monoplacophorans are a primitive taxonomic class of molluscs, whose youngest fossil species date from around 380 million years ago. 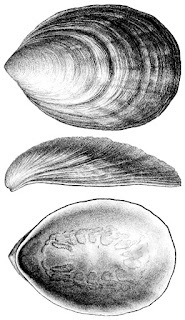 On 6 May 1952, however, trawling off Mexico's western coast at a depth of almost 12,000 ft in dark, muddy clay, the Danish research ship Galathea hauled up 10 complete specimens and three empty shells of a small, seemingly unremarkable mollusc superficially resembling a limpet but which proved upon scientific examination to be a living monoplacophoran. This hitherto-unknown species was formally named Neopilina galatheae, since when further specimens of it, and of several additional modern-day species too, have been obtained (see my Encyclopaedia of New and Rediscovered Animals, 2012, for full details). Structurally, these living monoplacophorans are very different internally from their archaic fossil ancestors, so if living trilobites do exist, these too are likely to be highly evolved species. 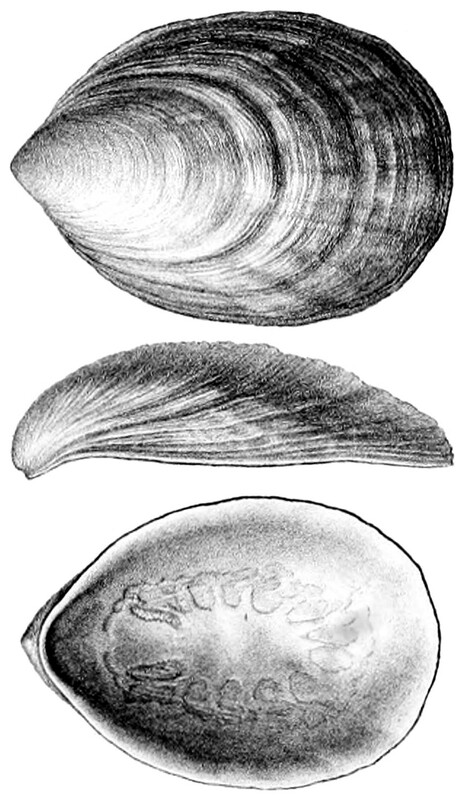 Nevertheless, the discovery of Neopilina and kin readily demonstrates that it is by no means impossible for invertebrates deemed by their fossil record to have died out in very far-distant prehistoric ages to be represented, in fact, by living species that have simply evaded scientific detection. 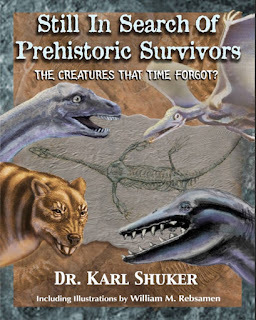 This ShukerNature blog article is adapted from my forthcoming book Still In Search Of Prehistoric Survivors. The quagga Equus quagga quagga was formerly the southernmost subspecies of the plains zebra until its extinction in 1883 – a tragic loss resulting from its extermination via over-hunting in its native South African grasslands and scrublands domain by 1878, followed by the eventual deaths of the few specimens left in captivity. 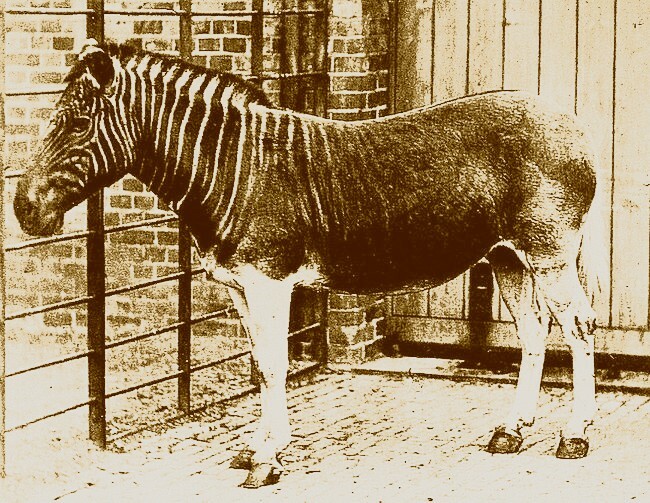 The very last of these specimens died in Amsterdam Zoo on 12 August 1883, this fateful day thus becoming the quagga's official extinction date. However, it remains famous even today for being the only semi-striped zebra – i.e. 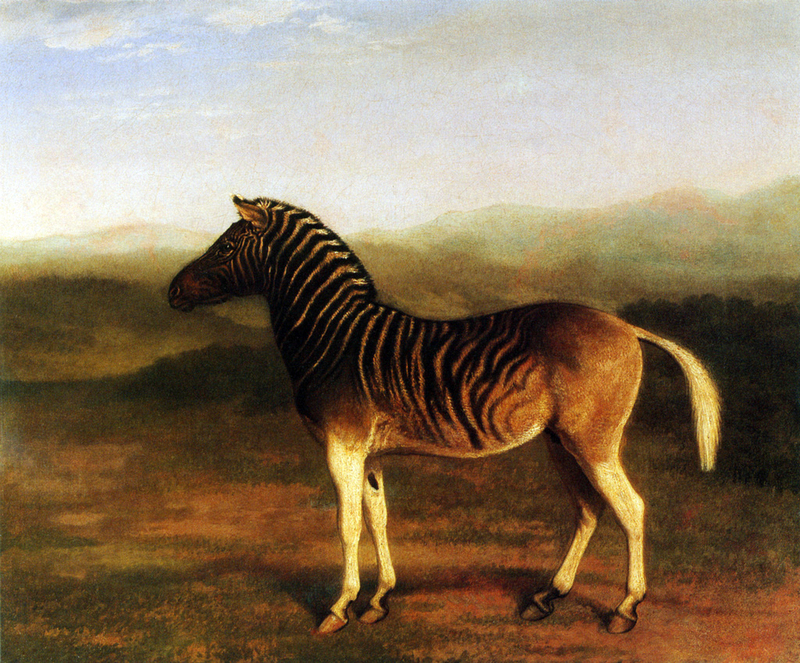 only its head, neck, and forequarters were striped, the remainder of its body and its legs entirely lacked any such markings. 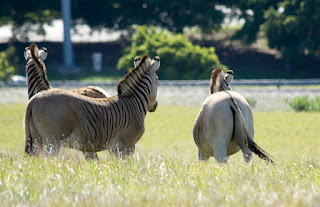 For many years now, the Quagga Project in South Africa has been attempting to 'breed back' the quagga's distinctive outward appearance (phenotype) using individuals of the closely-related Burchell's zebra that exhibit reduced striping, and it has achieved some degree of success. 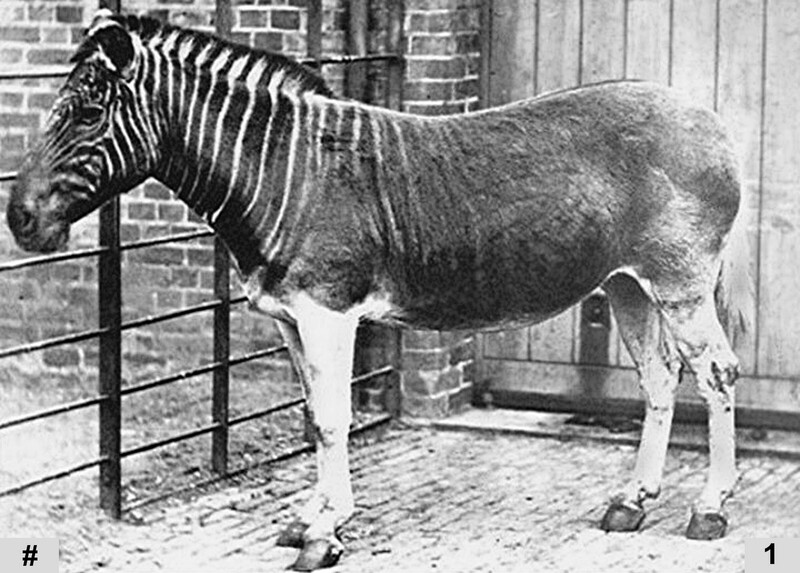 Yet even if or when exact quagga lookalikes are indeed created, they cannot really be deemed 'true' quaggas, because there is currently no way of confirming whether their genetic make-up (genotype) is comparable with that of the original, real quaggas, or whether the genetic route taken in producing these facsimile quaggas is the same one that occurred naturally during the quagga's original evolution. Nevertheless, I still consider it a very worthwhile goal, because the sight of quagga-like animals re-inhabiting the lands where the original quagga once roamed would be nothing if not inspirational, so I sincerely hope that the Quagga Project will be fully successful in its ambition to re-create at least in outward form this very iconic animal. Please click here to visit the Project's official website for full details of its history and ongoing work. Meanwhile, during last weekend a lively debate took place on Facebook between some friends of mine, stemming from various incorrect information on this subject present in certain websites, which wrongly claimed that only one photograph depicting a live quagga existed, and that this specimen was from Amsterdam Zoo. Consequently, as the quagga has long been of great interest to me, now seems like as good a time as any for me to present the full, correct facts concerning this particular facet of its history. 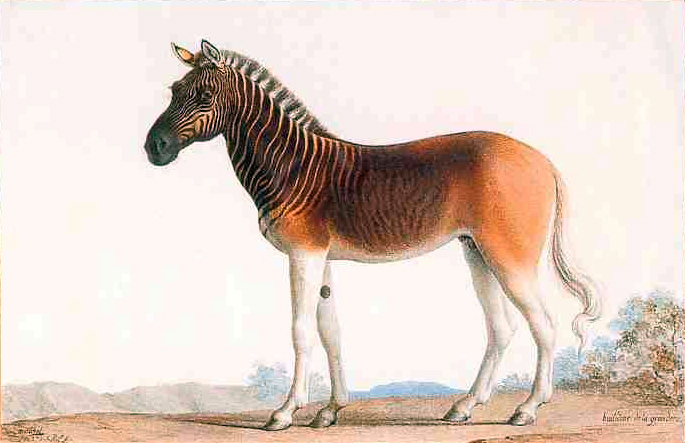 Our visual knowledge of the quagga in the living state is based not upon one but upon five separate photographs. All of them in black-and-white format, these are currently the only known images obtained of a live quagga, and they all depict the same individual, which, moreover, was housed not at Amsterdam Zoo but at London Zoo. 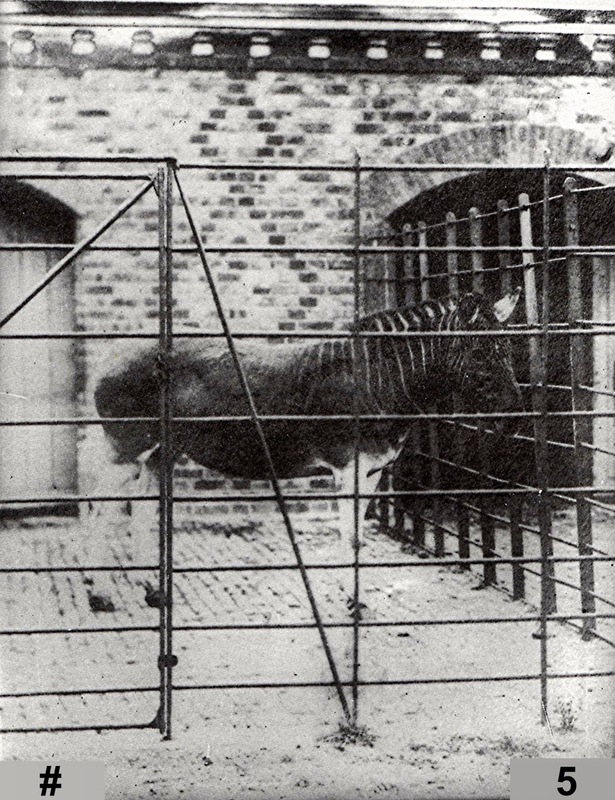 An adult mare, she was the second of three quaggas to be exhibited there, having been purchased by the zoo from animal dealer Carl Jamrach on 15 March 1851. 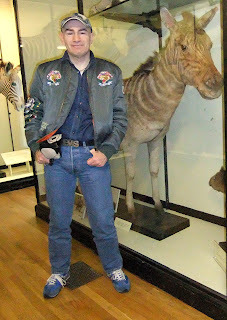 She died on 15 July 1872, but her mounted skin is on display at Edinburgh's Royal Museum of Scotland, and her skeleton is housed in the USA at Yale University's Peabody Museum (it was purchased for the museum during the late 1800s by celebrated dinosaur fossil collector Othniel C. Marsh for the princely sum of £10). 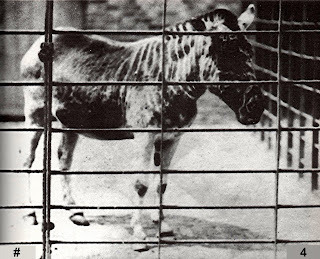 And now, presented in decreasing order of familiarity and accompanied by what information (sometimes only very sparse) is known about each one, here is the quintet of famous – and not-so-famous – quagga photographs portraying her. As every one of them is well over a century old, all five of these photographs are in the public domain. 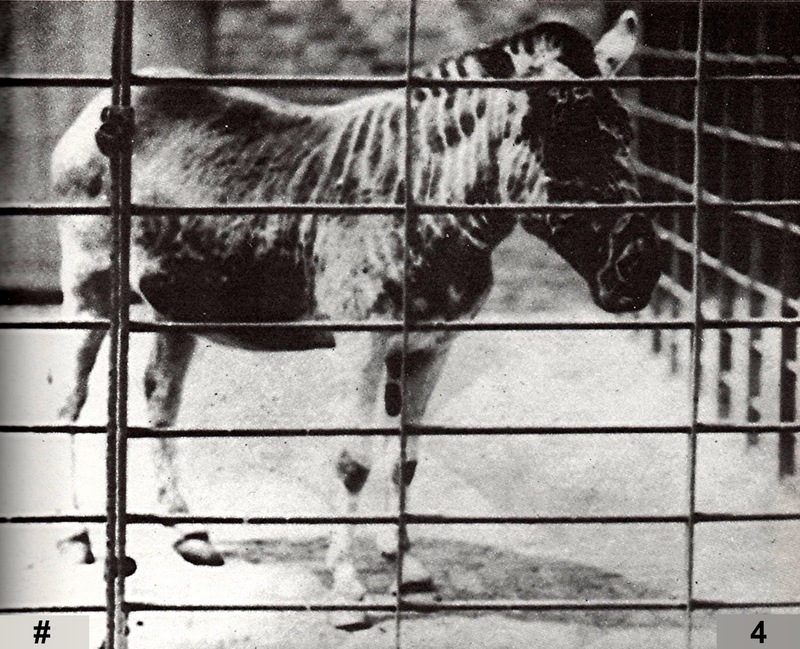 This is unquestionably the best known and also the best quality-wise of the five photographs of a living quagga – so much so that many modern-day variations of it have been created, including mock-sepia ones, fully colourised ones (like the beautiful example opening this present ShukerNature blog article), and even ones in which the quagga has been cut out of the original photograph and superimposed onto entirely different backgrounds. According to Dr Philip L. Sclater, then Secretary of the Zoological Society of London (ZSL), writing in 1901, the original b/w version of this photograph was prepared from a magic lantern slide produced by photographer Frederick York (1823-1903), most probably during summer 1870. Almost as well known as Photo #1, this photograph was also prepared from a magic lantern slide produced by Frederick York, and at much the same time as Photo #1 too, i.e. 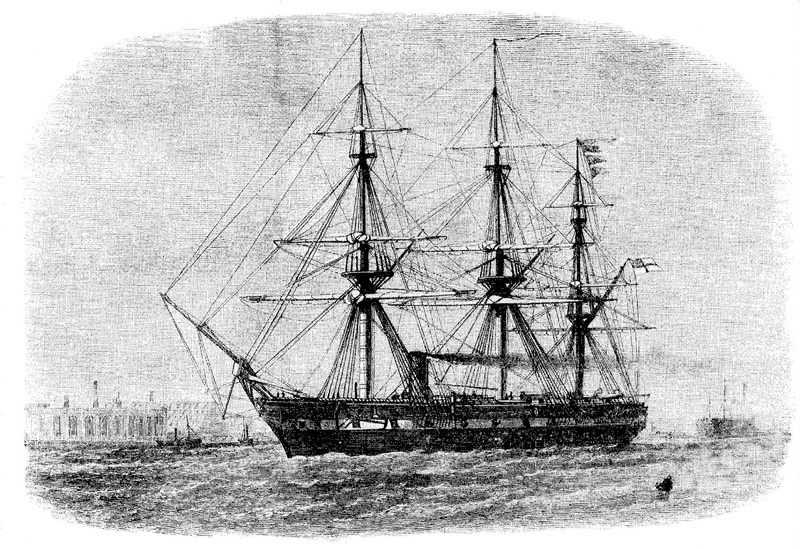 probably during summer 1870. This photograph was taken by Frank Haes (1832-1916) in 1864 and utilised by him in the production of a stereoscopic photo-card, to be viewed through a special instrument known as a stereoscope, which yielded a dramatic 3-D effect (similar to the effect produced by that very popular children's viewing device from the 1960s onwards called the View-Master – I still have mine!). 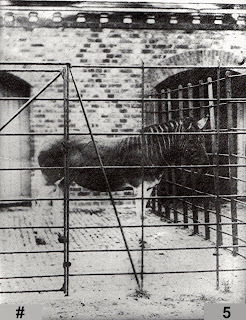 The gentleman in the photo was a zookeeper, and the quagga was in one of the yards of the 1859 Equid wing of London Zoo's Antelope House, later demolished to make way for the Elephant and Rhinoceros pavilion. Far less famous than the preceding three, this photograph was probably taken during the 1860s, and by a photographer whose name is apparently unrecorded. Only two original prints of it are known, one of which was discovered as recently as 1991 in Munich by Walter Huber; until then, the only known print was one housed in the collections of London's Natural History Museum. 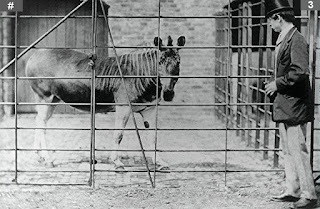 This particular quagga photograph has long intrigued me because the angle at which it was shot has rendered the quagga's legs sufficiently short and foreshortened its body to an extent that makes it look remarkably foal-like rather than the fully adult specimen that we know it to have been. 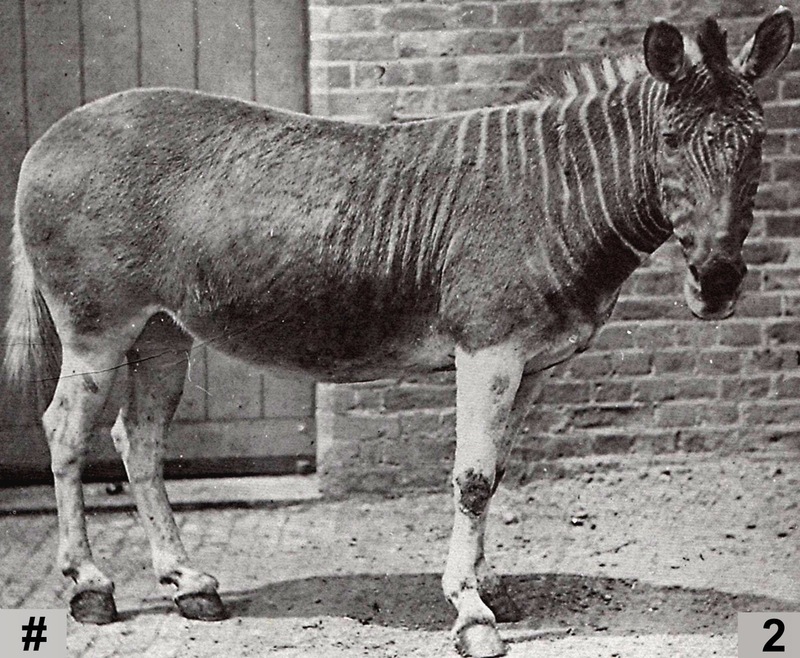 Photo #4 is often referred to as the least-known of the quagga quintet, but in my opinion this accolade should be bestowed upon Photo #5. For whereas Photo #4 has appeared in a number of publications and websites, Photo #5 has hardly appeared anywhere – indeed, until I uploaded this present article of mine onto my blog I had yet to see it anywhere online. As with Photo #4, it was probably taken during the 1860s, but again the identity of the photographer is presently unknown. So there they are, five brief snippets of time from the life of a creature whose kind no longer exists thanks to our own species' bloodlust, but preserved for all eternity in the still silence of these photographs, captured in monochromatic majesty by the camera lens as surely and as securely as erstwhile insects are encapsulated within golden globules of amber. In view of the (very) varying accuracy of information on this subject presently available on the internet, you can be reassured that this ShukerNature article's information was derived from two ultra-reliable, hard-copy sources, which also constitute two of my favourite publications. 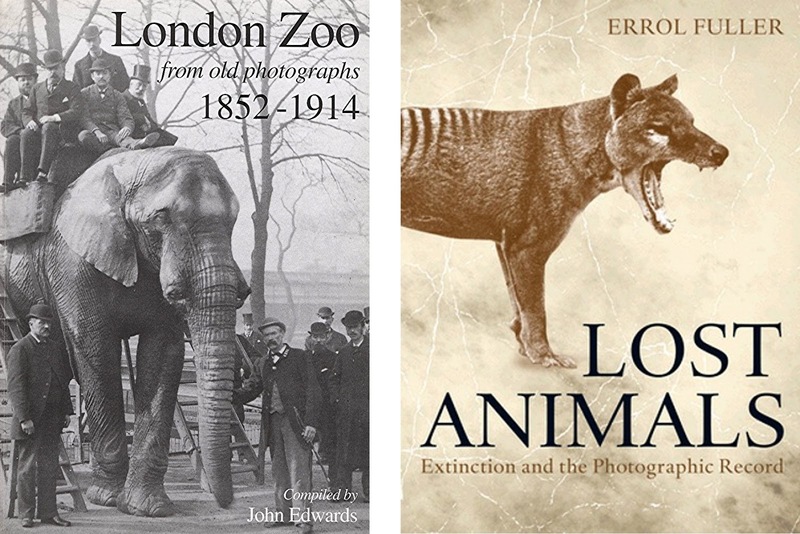 One of these sources is a superb collection of vintage photographs in book form, which was compiled, written, and published by celebrated London Zoo historian and longstanding friend John Edwards, entitled London Zoo From Old Photographs 1852-1914. It was originally published in 1996, but in 2012 it was republished as a second edition containing many additional photos. 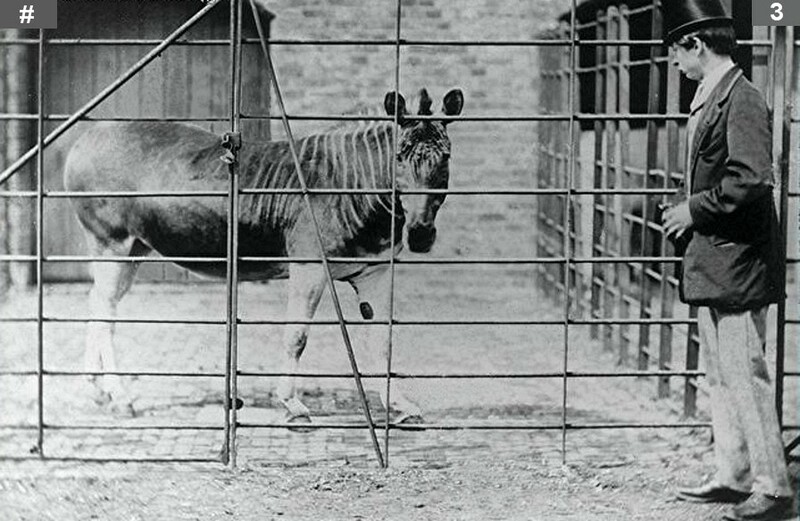 Both editions include some scientifically valuable yet poignant photographs of several different animal forms (not only the quagga) that were formerly exhibited at London Zoo in the living state but which have since become extinct. 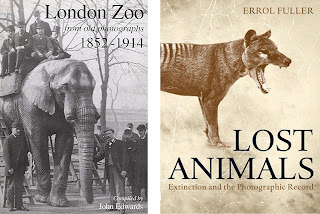 My other source, also written by a longstanding friend, is a magnificent, unique book entitled Lost Animals: Extinction and the Photographic Record, authored by Errol Fuller, an acclaimed expert on extinct fauna. It was published in 2013, and is devoted entirely to documenting rare photographs of living creatures belonging to species or subspecies that later became extinct. Again, fascinating but exceedingly poignant, the photographs generating a depth of emotion that not even the greatest artworks depicting such creatures can elicit, because when we view such photos we are, in a very real sense, viewing these lost creatures' ghosts, traces of their former existence that have transcended death to remain visible long after the creatures themselves have vanished forever from our world.